Author’s Note 1: It is my standard policy to put too much info into guides so that those who are searching for specific problems they come across will find the offending text in their searches. With luck, your “build error” search sent you here. Author’s Note 2: It’s not as bad as it looks (I’ve included lots of output and error messages for easy searching)! Author’s Note 3: I won’t be much help for you in diagnosing your errors, but am happy to tweak the text below if something is unclear. Conventions: I include both the commands you type in your Terminal and some of the output from these commands, the output being where most of the errors appear that I work on in the discussion. This work began as an attempt to build a CUDA-friendly version of the molecular dynamics package GROMACS (which will come later) but, for reasons stemming from a new local Syracuse Meetup Group (Bitcoin’s of New York – Miner’s of Syracuse. Consider joining! ), the formation of our very own local mining pool (Salt City Miners, miner.saltcityminers.com. Consider joining! ), plus a “what the hell” to see if it was an easy build or not, transformed into the CudaMiner-centric compiling post you see here. NOTE: This will be a 64-bit-centric install but I’ll include 32-bit content as I’ve found the info on other sites. 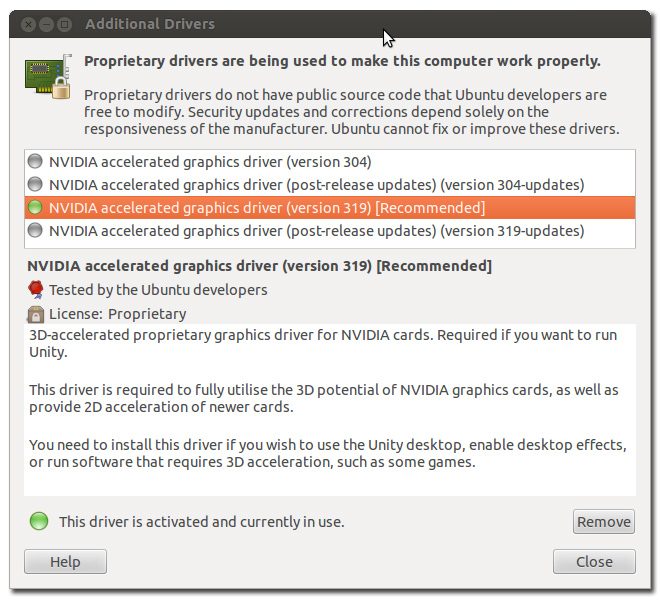 Having run through this process many times in a fresh install of Ubuntu 12.04 LTS (so nothing else is on the machine except 12.04 LTS, its updates, a few extra installs, and the CUDA/CudaMiner codes), I can say that what is below should work without hitch AFTER you install the NVIDIA drivers. 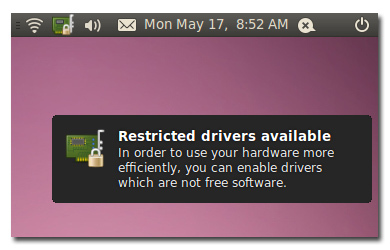 Once your NVIDIA card is installed and Ubuntu recognizes it, you’ve two options. A few websites (and several repostings of the same content) describe the process of installing the NVIDIA drivers the olde-fashioned way, in which you’ll see references to “blacklist nouveau,” “sudo service lightdm stop,” Ctrl+Alt+F1 (to get you to a text-only session), etc. You hopefully don’t need to do this much work for your own NVIDIA install, as Ubuntu will do it for you (with only one restart required). I took the easy way out by letting Ubuntu do the dirty work. The result is the installation of the (currently, as of 28 Dec 2013) v. 319 NVIDIA accelerated graphics driver. For my NVIDIA cards (GTX 690 and a GTX 650 Ti, although I assume it’s similar for a whole class of NVIDIA cards), you’re (currently, check the date again) given the option of v. 304. Don’t! I’ve seen several mentions of CudaMiner (and some of the cuds toolkit) requiring v. 319. Caption: Either way, you’ll hopefully get to an NVIDIA driver list like above. There are a few apt-get’s you need to do before installing the CUDA Toolkit (or, at least, the consensus is that these must be done. I’ve not seen a different list in any posts and I didn’t bother to install one-by-one to see which of these might not be needed). libglu1-mesa is already the newest version. libglu1-mesa set to manually installed. The solution here is simple. Add libglapi-mesa and libgl1-mesa-dri to your install. And, remarkably, that’s it for the pre-install. The CUDA Toolkit install starts with its 810 MB download at developer.NVIDIA.com/cuda-downloads. Obviously, be aware of the 32- and 64-bit options. Also, the .deb doesn’t currently download, leaving you to grab the .run file (same difference, I haven’t bothered to find out why the .deb doesn’t fly yet). username or hostname is not collected. NOTE 1: Don’t install the NVIDIA Accelerated Graphics Driver! NOTE 2: Yes, install the Toolkit. NOTE 3: I will assume this location for all of the below, setting the location in the PATH. NOTE 4: I installed the samples for testing (and found a few extra things that need installation for them). Please see CUDA_Getting_Started_Linux.pdf in /usr/local/cuda-5.5/doc/pdf for detailed information on setting up CUDA. ***WARNING: Incomplete installation! This installation did not install the CUDA Driver. A driver of version at least 319.00 is required for CUDA 5.5 functionality to work. And then source the .bashrc file. The next set of installs and file modifications came from attempting to build the Samples in the NVIDIA_CUDA-5.5_Samples (or NVIDIA_CUDA-5.5_Samples/NVIDIA_CUDA-5.5_Samples depending on how your install did it) library, during which time I think I managed to hit all of the post-Toolkit install modifications needed to make the CudaMiner build problem-free. The OpenMPI install is optional, but I do hate error messages. NOTE: It doesn’t matter what directory you do this from. I’ve left off the NVIDIA_CUDA-5.5_Samples/ yadda yadda below. If you’re working through the build process and hit the error, run a “make clean” before rerunning. 5B. WARNING – No MPI compiler found. The second build attempt produced the MPI Warning above. WARNING – No MPI compiler found. CUDA Sample “simpleMPI” cannot be built without an MPI Compiler. This will be a dry-run of the Makefile. To get around this warning, install OpenMPI (which is needed for multi-board GROMACS runs anyway. But, again, not needed for CudaMiner). The specific issue is the need for mpicc, which is in libopenmpi-dev (not openmpi-bin or openmpi-common). For completeness, I grab all three (and I’m ingnoring the NVIDIA_CUDA-5.5_Samples directory structure below). Now run a “make clean” if needed and make. The build should go without problem. The next round of problems stemmed from not being able to run the randomFog program in the new ~/NVIDIA_CUDA-5.5_Samples/NVIDIA_CUDA-5.5_Samples/bin/x86_64/linux/release folder. I suspect the steps taken to remedy this also make all future CUDA-specific work easier, so list the issues and clean-up steps below. I then found references to adding a cuda.conf file to /etc/ld.so.conf.d – and so did that (doesn’t help but it came up enough that I suspect it doesn’t hurt either). Present twice. Instead of risking making multiple symbolic links as I walked through the dependency gauntlet, I stumbled across another reference in the form of a new /etc/ld.so.conf.d/NVIDIA.conf that contains the same content as cuda.conf (so one may not be needed, but I didn’t bother to backtrack to see. Happy to change the page if someone says otherwise). With that, randomFog works just fine (and you can assume that a problem in one is a problem in several. Having not taken the full symbolic link route in favor of adding to /etc/ld.so.conf.d, I’m assuming I hit most of the potential errors for the other programs. The good news is that there are only a few more steps. The bad news is that any errors you come across in your attempt to build CudaMiner that relate to NOT having done the above are (likely) not represented here, so hopefully your search was sufficiently vague. Download CudaMiner-master.zip from Christian Buchner’s github account. Extracting CudaMiner-master.zip (with unzip, not gunzip. Damn Windows users) and running configure produces only one obvious error. This error is remedied by installing libcurl4-gnutls-dev. After a make clean, configure and make for CudaMiner went without problem. A few warnings (well, several hundred of the same warnings) appeared during the build process (but don’t affect the program operation. Just pointing them out above). With luck, you should be able to run a benchmark calculation immediately. [2013-12-25 00:05:38] 1 miner threads started, using ‘scrypt’ algorithm. -d, --devices         takes a comma separated list of CUDA devices to use. in a comma separated list, one per device. active frame rates (because it drives a display). cache for mining. Kepler devices will profit. scrypt scratchbuffers in a single memory block. which assigns one static CPU core to each GPU. [2013-12-25 00:49:08] 1 miner threads started, using ‘scrypt’ algorithm. The sleep + wake does the trick, although I’d love to find out how to not have this happen. “. . . result does not validate on CPU (i=NNNN, s=0)! 7. And Finally. . .
Do consider showing him some love. This post was made in the interest of helping others get their mining going. If this guide helped and you score blocks early, my wallet’s always open as well (can’t blame someone for trying). The timing for getting the guide up is based on a new mining operation here in Syracuse, NY in the form of Salt City Miners, currently the Cloud City of mining operations (also appropriate for the weather conditions). Parties interested in adding their power to the fold are more than welcome to sign up at miner.saltcityminers.com/.